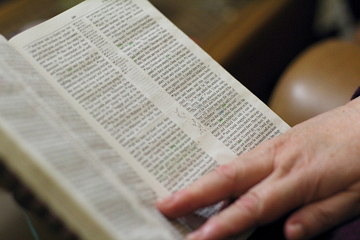 Book: 1 Samuel (1), 2 Samuel (1), Psalm (10). Psalm 63:1-11 (Part of the Psalms of David series). Preached by Mark Barnes on May 7, 2008 (Midweek Meeting). Preached by Mark Barnes on April 16, 2008 (Midweek Meeting). Psalm 51:1-19 (Part of the Psalms of David series). Preached by Mark Barnes on March 19, 2008 (Midweek Meeting). Psalm 60:1-12 (Part of the Psalms of David series). Preached by Mark Barnes on March 5, 2008 (Midweek Meeting). Psalm 30:1-12 (Part of the Psalms of David series). Preached by Mark Barnes on February 20, 2008 (Midweek Meeting). Psalm 18:1-50 (Part of the Psalms of David series). Preached by Mark Barnes on February 6, 2008 (Midweek Meeting). 1 Samuel 27:1-12 (Part of the Psalms of David series). Preached by Mark Barnes on January 23, 2008 (Midweek Meeting). Psalm 57:1-11 (Part of the Psalms of David series). Preached by Mark Barnes on January 9, 2008 (Midweek Meeting). Psalm 142:1-7 (Part of the Psalms of David series). Preached by Mark Barnes on January 2, 2008 (Midweek Meeting).